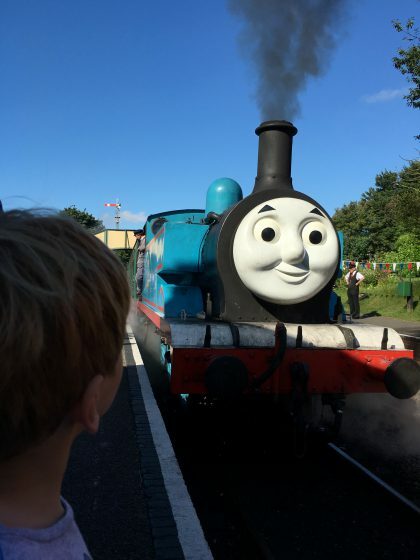 If you follow me on social media at all, you can’t have missed how excited I was when I recently won a Family Ticket for The Watercress Line’s Day out with Thomas event. 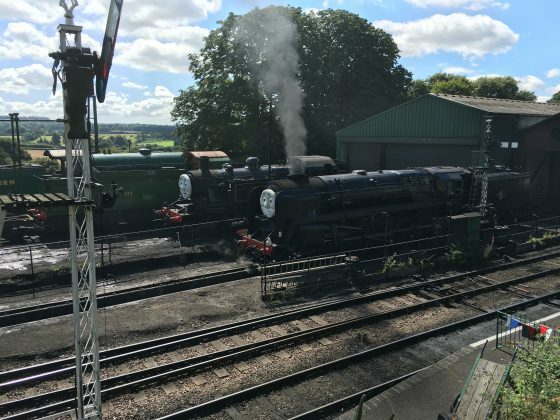 If you haven’t heard of the Watercress Line (or to give it it’s full title The Mid Hants Railway – The Watercress Line), it’s a beautifully restored and maintained vintage steam and diesel railway line, running trains all year round from Alton to Alresford in Hampshire. If you haven’t heard of Thomas the Tank then where on earth have you been for the last century? 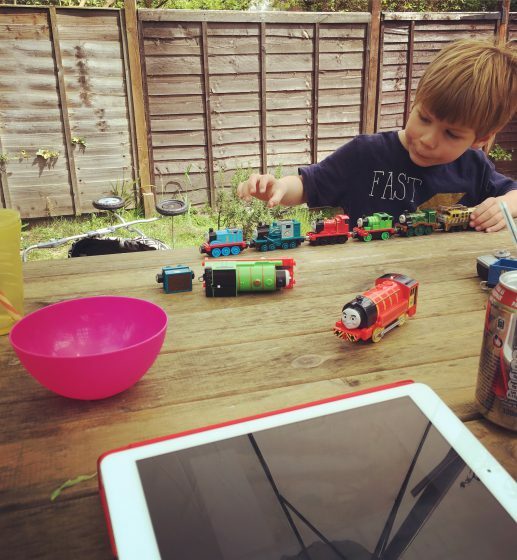 The competition was run on Instagram and asked you to share photos of your child playing with their Thomas toys. Seeing as how Oscar is such a big Thomas fan, I had plenty to hand and entered a few. This is the one that won and quite right too. I love it! We started to explain to Oscar where we were going and what we were doing two days before the Thomas experience even started, which was a massive mistake. Once he heard, he wanted to go NOW, NOW, NOW! School boy error on my part perhaps, but it did give him time to get his head around the idea. 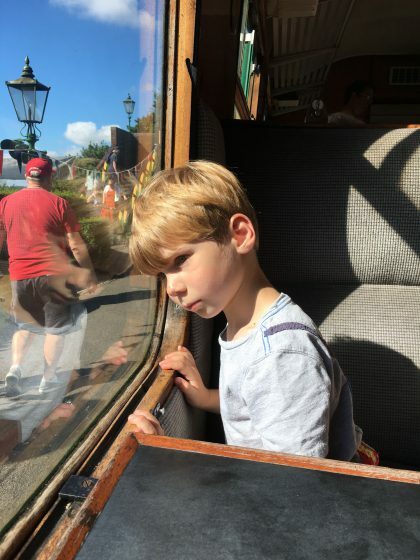 We used videos on the Watercress Line website, showed him pictures and talked him through what we might see, In his mind he had it all sorted. He was going to drive Thomas, I was going to ride in Clarabel and Ben was going to set the points. And he told us all that with words, dontcha know! Oscar marching up to the station as early as we could have possibly got there! Just look at how perfect this Thomas is! It blew all our minds! Thomas himself gives short trips up and down a small piece of track (well he is only a tank engine!) and when he arrived on the platform we started to walk straight to Annie and Clarabel (the carriages for those not in the know!). However, Oscar had other ideas. Despite all our prep, he was adamant he was there to drive Thomas. We told him over and over that he couldn’t, but it took quite a long time for him to understand (and a few tears). It was no ones fault. He just got an idea in his head and when that happens it takes some effort to change that. We finally got him to ride in Annie and Clarabel, instead of in Thomas, but bless his heart if he wasn’t just a little disappointed! Riding while standing and looking out of the window is so much fun for my guy. After a couple of rides in Thomas’s carriages, we went over the bridge (Oscar loves bridges) to check out the other attractions that were available. We got to ride actually in Toad the Brake Van (which went some way to compensating for him not getting to actually drive a tank engine. You know, at four years old 😆) and then took a ride in the carriages of a real steamie. Oscar insisted it was Neville, but to us it looked like Donald or Douglas. Oh yes we know all the names 😱. Just look at these beauties! Neville or Donald and Douglas, they were superb. We rode up and down the line a few times, which despite the few small delays we experienced Oscar loved. And I mean loved. I don’t know if it was the movement or the look and feel of the coaches but he seemed to just be happy to be on the train. We stopped off at various stations and at one he convinced us to add another train to his collection. 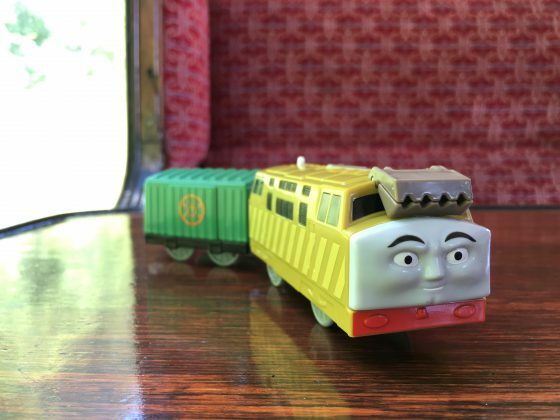 We bought this TrackMaster toy from one of the stations. I was happy to see the toys cost no more than you would pay in any other toy shop. Diesel 10 came along for the ride! Oscar just had the best time. 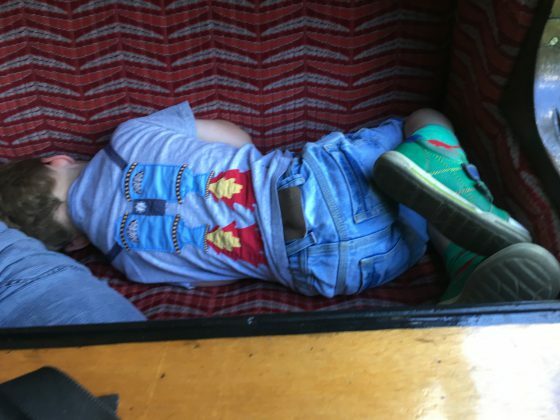 Once he got over the idea of riding on the footplate he really enjoyed so much about this day. He found so many opportunities to mix his two favourite things, Thomas and movement. 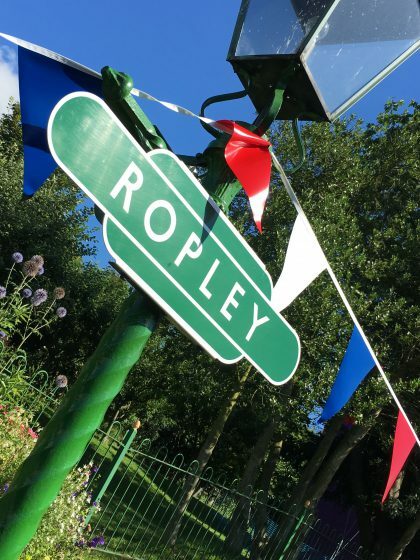 We went on so many rides on the train but also on the small fair at the side on the tracks at Ropley. He’s not one for colouring and such, but was happy to look round all the activities laid on in the station buildings. 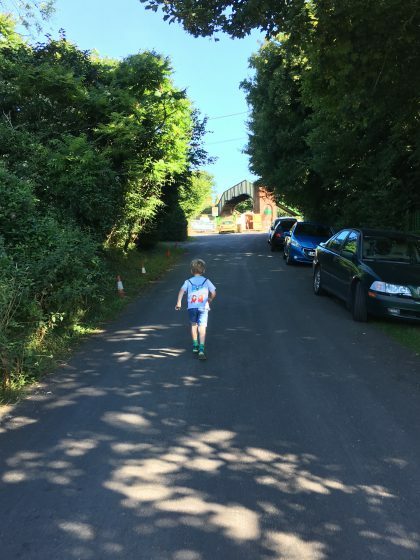 Feeling the movement from another angle – that’s my little seeker for you. 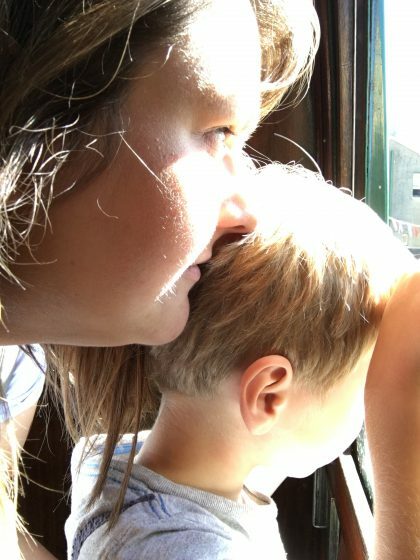 It was such a wonderful family day out and very thoughtfully aimed at small fans of Thomas, but I can’t tell you how much Ben and I also got out of it too! For me it was the vintage details that won the day. The stations were beautiful in themselves but also helped create a feeling of being ‘on Sodor’! The signs and the bunting – gorgeous! Even the details on the loos at Ropley were beautiful! 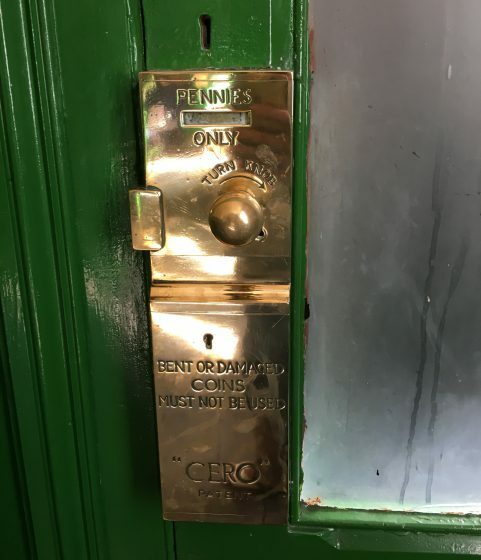 Spend a penny anyone? The staff were also very helpful and all obviously proud of what they were doing. Oscar knew exactly who this was. 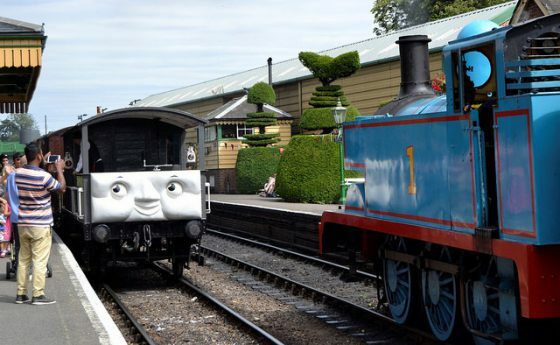 He waited patiently to speak to him then told him “Fat Controller, Fat Controller, Thomas is in the station”. Proud! 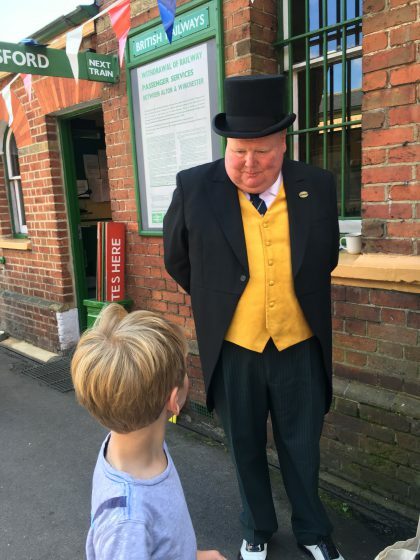 I really felt for the chap playing the Fat Controller – it was such a hot day and he stayed in that outfit throughout! What a champ! I would also highly recommend taking a picnic as we did. Not because there isn’t food available (there absolutely it) but having our own food with us mean we could eat whenever we liked, wherever we were, including half way down the line! Hungry boy half way between stations. All characters aside we all loved the engines, especially Ben. I think at times he was more excited than my actual little boy! I already know we’ll be going back. Not just to the Day out With Thomas (which I imagine we will be doing every time now!) but just to ride the trains and surround ourselves with the history and the magnificence of the engineering. Oh and I’ve just noticed the Santa Experience. Oh good lord! 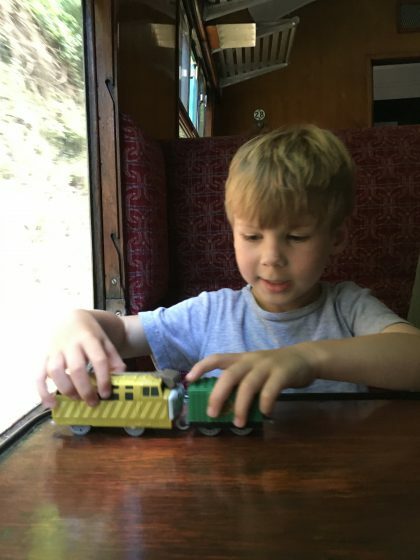 We would like to say thank you so much to The Watercress Line for our competition prize of a free Family Ticket to Day out with Thomas. 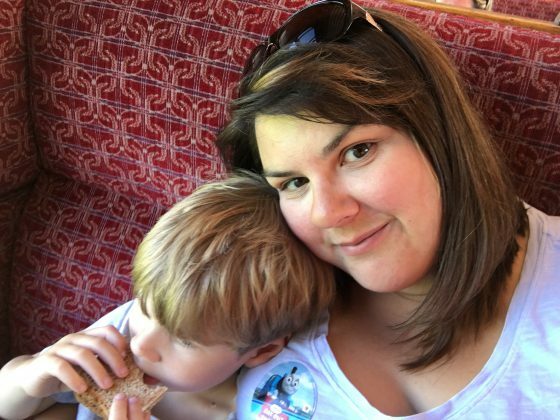 I was not asked to write about our time at Day out with Thomas, I just like to share the things we love. So fun! We did A day out with Thomas when our boys were a little younger! They loved it. Such great memories you are creating. Trying to! Glad you enjoyed it too. It was fab. This looks like a great day think my Dad would love it as much as the kids! Oh definitely!! I’d love to take Oscar’s grandparents! Oh it really was and if you’re ever in the area when it’s on I highly recommend it! Ahh thank you my lovely! It was such a lovely day out and glad you got to do something similar where you are! Thanks Amy. It was superb. Thank you so much Wendy. Doesn’t it look amazing?! It really was! Haha he would have loved it. They do do adult engine driving courses. Maybe when he’s older! Oh we’d love to go to Thomas Land. It’s quite a drive for us though. Maybe for his birthday next year! Oh you really really must. It’s fab!! I don’t know when it’s next on but maybe next Easter I think? Check it out! You really should check it out if you’re ever in the area. It really is a wonderful day out!